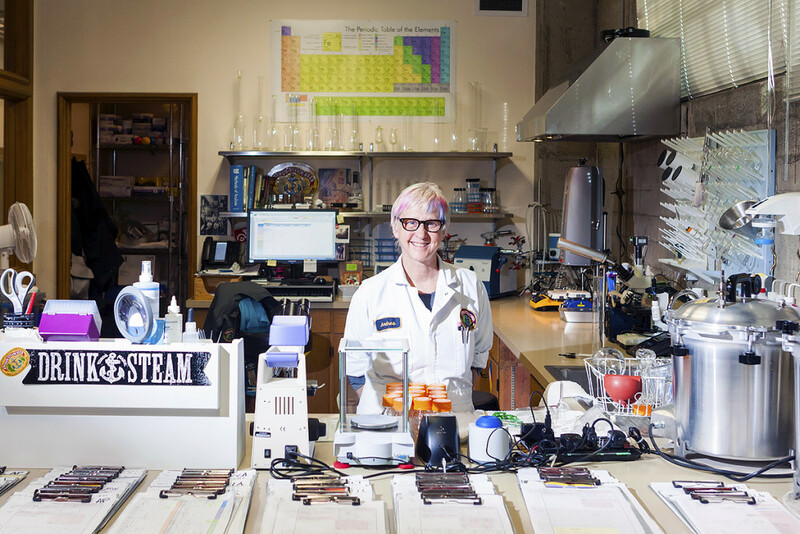 Welcome to our latest installment of Stewards of Steam; a blog series that showcases our craft and our people. 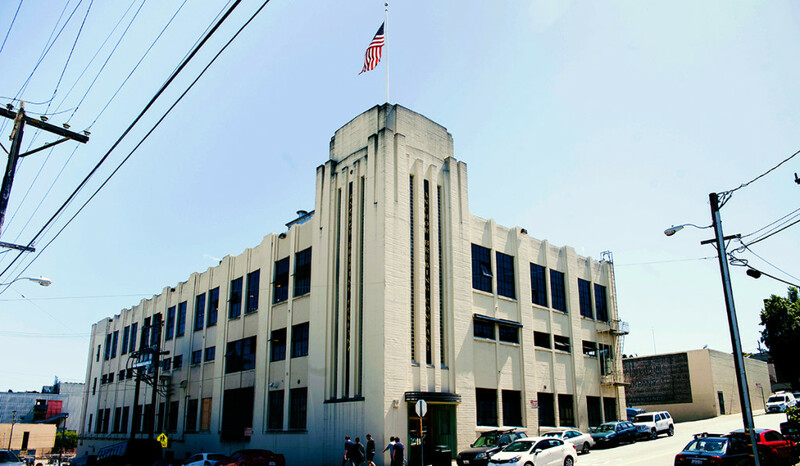 The Anchor team—or the Stewards of Steam as we like to refer to ourselves—keep alive our tradition of making handcrafted beer in the city of San Francisco. We are dedicated to maintaining our time-honored brewing methods and yet we continue to innovate and push the boundaries of our craft to remain a pioneer in American Craft Beer. In order to get that six-pack of Anchor Steam Beer on the shelf, a lot needs to happen— and not just at Anchor Brewing. Well before we start brewing beer, there are materials being produced that are key to this process, from hops to glass bottles. Then, what about getting the necessary materials in the right quantities delivered to the brewery at the right time? Luckily, Anchor has very talented people who manage all of the components of material procurement and inventory management. Part of that responsibility is making sure we get the right amount of what we need when we need it. Equally as important, we need to get these materials for the best prices so we can continue to provide the best value for our customers. The work of these Stewards of Steam, while behind the scenes, is absolutely crucial to keeping our beer in the hands of our fans. “I am Charlie. I am the Materials Supervisor and I have worked at Anchor for 3 years. In today’s brewing landscape, most U.S. breweries use automated, stainless steel brewhouse systems. That’s not the case at Anchor though. All of our beer is made in a 100% copper brewhouse that is not automated. Yes, the upkeep and efficiency can be a challenge, but we love the tradition! Our brewhouse equipment hails from Germany and requires the engagement and expertise of a talented, attentive brewer. 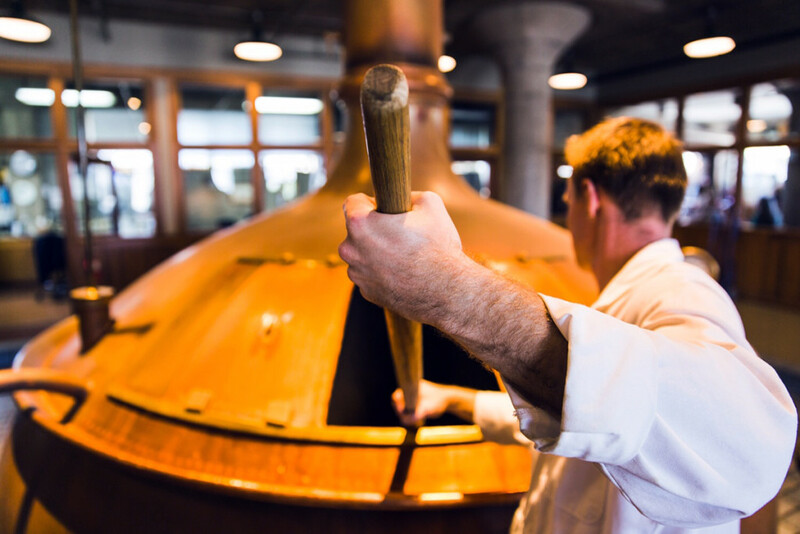 Our beers are virtually handmade by skillful brewers who spend their days crafting beer in our one of a kind copper brewhouse. “I am Dane. I am a brewer and I have worked at Anchor for almost 9 years. At Anchor, we practice the time-honored art of classical brewing, employing state-of-the-art methods to ensure that our beers are always pure and fresh. We know of no brewery in the world that matches our efforts to combine traditional, natural brewing with such carefully applied, modern methods of sanitation, finishing, packaging and transporting. Our Quality Assurance team monitors every stage of the brewing and packaging process to ensure Anchor maintains the level of quality we promise our fans. “I am Andrea. I am the Quality Assurance Supervisor and I have worked at Anchor for 23 years. 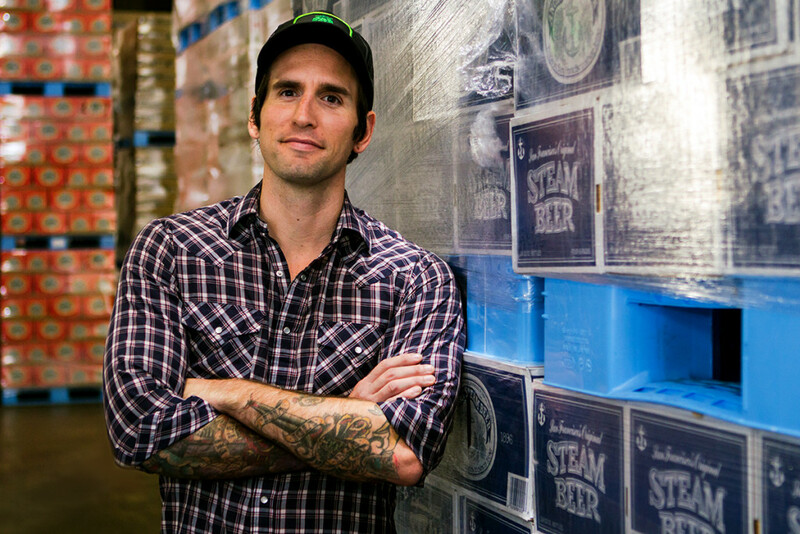 Next time you grab a pint or six-pack of Anchor, #RaiseYourAnchor to Charlie, Dane, Andrea, and the rest of our #StewardsofSteam for their hard work behind the scenes.